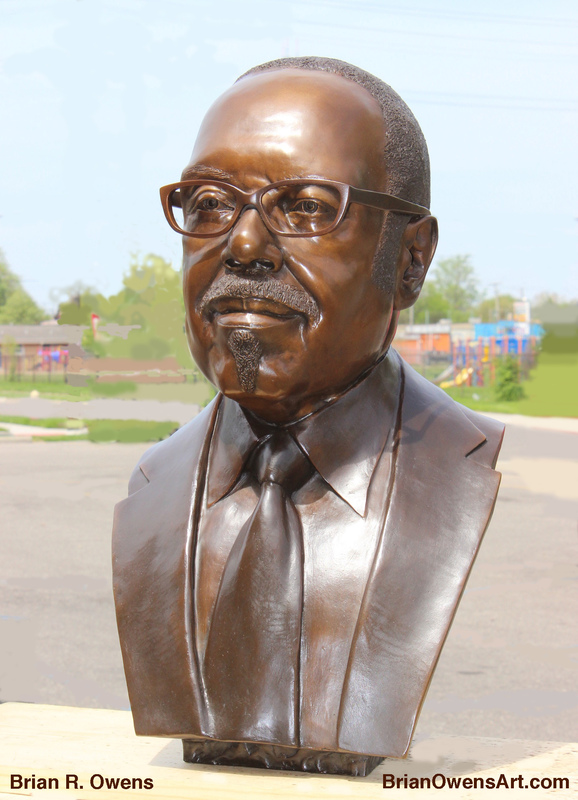 The bronze bust of Dr. Charles G. Adams, Pastor of Hartford Memorial Baptist Church (HMBC) in Detroit MI, was dedicated on "Founder's Day" - May 20th, 2018 - and then permanently installed within the Church the following day. The bust is a signed original. It is "one of a kind", having no duplicate. Work on the clay model commenced in Detroit. 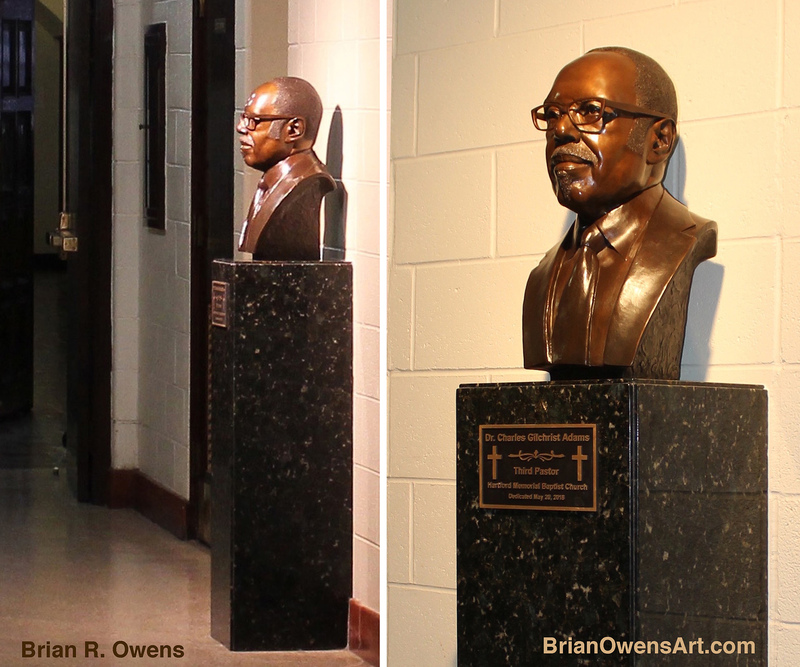 The bronze was completed at Brian R. Owens' studio in central Florida. Charles Gilchrist Adams is a husband, father, theologian, writer and teacher. As of this writing, he has been pastor of Hartford Memorial Baptist Church for 49 years. He was an award-winning graduate of Harvard Divinity School in Cambridge MA, and became a doctoral fellow in Union Theological Seminary in New York City. Dr. Charles G. Adams career is marked by substantial, long-term, practical service to multiple organizations whose purpose is to make a world in which people are treated fairly, including the NAACP and The World Council of Churches. 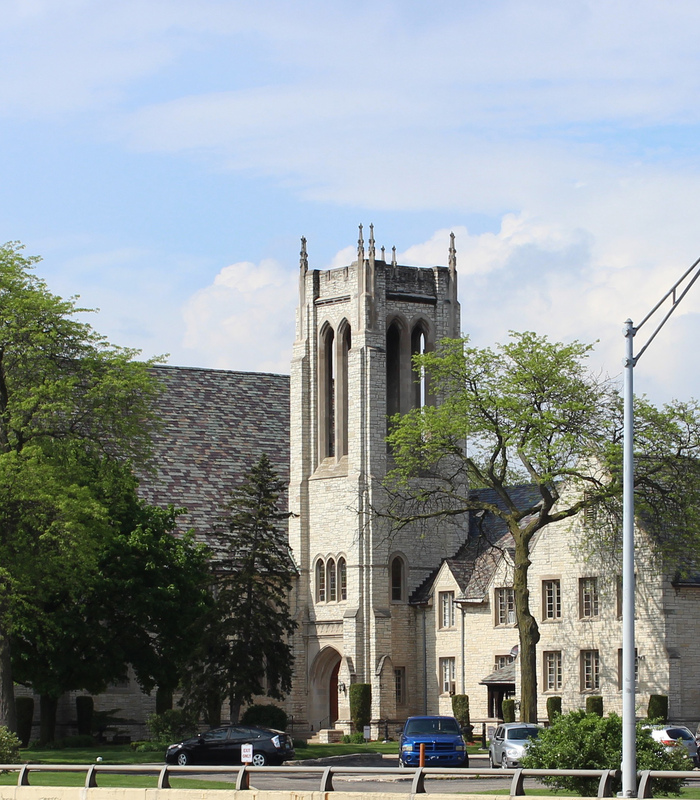 Teaching positions include Harvard Divinity School. He has spoken before the United Nations and was recognized as one of the 100 most influential Black Americans by Ebony Magazine. 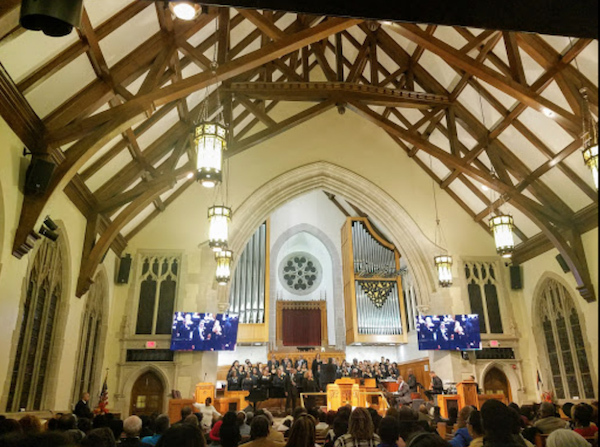 Under his leadership, Hartford Memorial Baptist Church has grown and reached deep into the community with positive effects. Even in it's long form, a biography is a small window onto a person's life. Like the portrait bust, it is useful but comes with built-in limitations. Often, there are deeper truths below the surface and between the lines. So, I was pleased to find the quotation below on the HMBC web site. "... to honor among its graduates one who exhibits a passionate and helpful interest in the lives of other people, an informed and realistic faithfulness, an embodiment of the idea that love is not so much a way of feeling as a way of acting, and a reliable sense of humor." 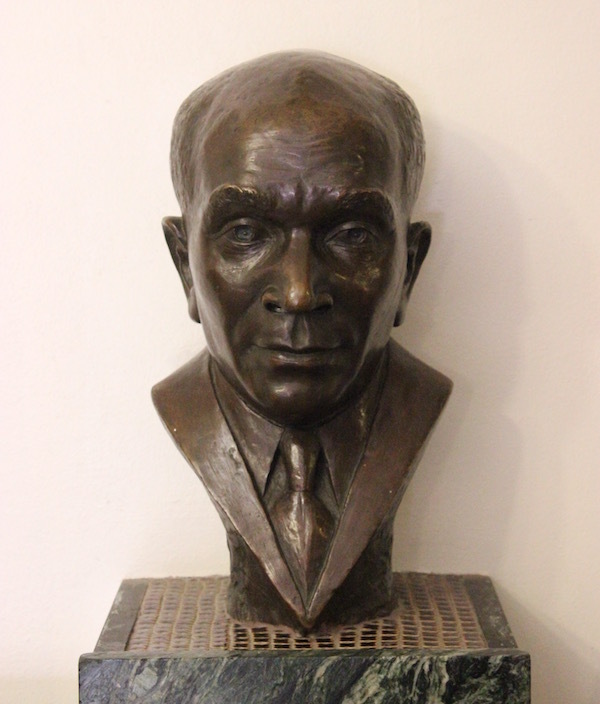 After the dedication during Sunday services, the bronze bust of Dr. Charles G. Adams was installed on a dark green granite pedestal in the hallway that connects the Sanctuary with the Chapel. 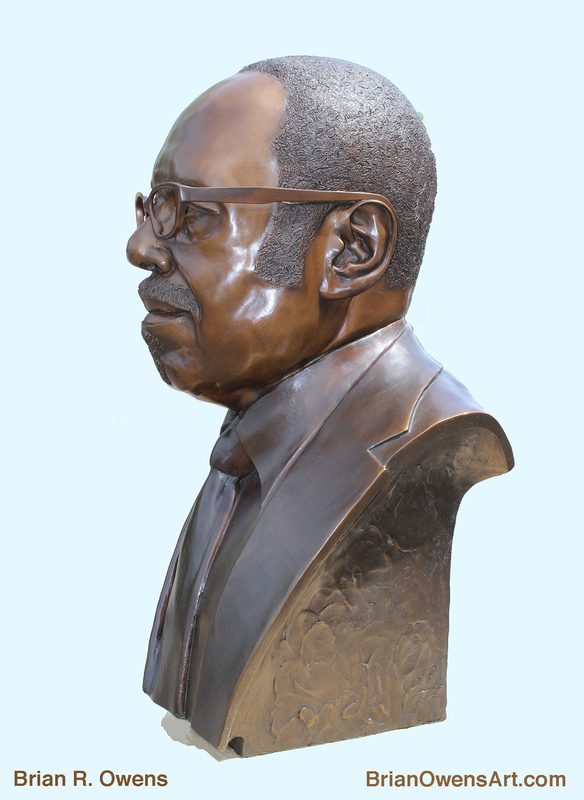 The design intention was to follow the general approach used to display the sculpture that the Church installed in 1961: A bronze portrait of the second pastor of Hartford Memorial Baptist Church, Reverend Charles A. Hill, Sr.
of Charles A. Hill, Sr.
A Bronze Portrait of Reverend Charles A. Hill Sr.
Reverend Charles Andrew Hill Sr., the second pastor of Hartford Memorial Baptist Church, was known for his courageous, practical support of the individuals and institutions that championed the cause of worker's rights and civil rights long before the civil rights movement began. He served as Pastor for 48 years until retiring in 1968. Church historians report that Paster Hill "opened the Hartford pulpit to such nonconformists as W.E.B. Du Bois and Paul Robeson." 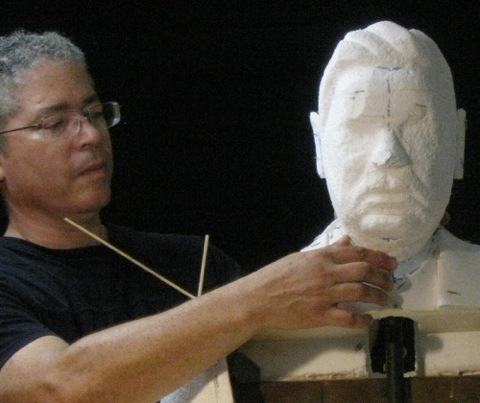 It is not surprising to this author, that the paths of Pastor Hill and sculptor Oliver LaGrone crossed as they both appear to have been cut from the same humanitarian cloth. Oliver LaGrone 1906 - 1995, was an African-American sculptor, poet and educator. He was the first African American to study at Cranbrook Academy of Art, a colleague of Langston Hughes and close friend of Paul Robeson. He was respected as a creative force at a time when opportunities for recognition and substantial career growth were extremely rare. Artists like LaGrone set an example and helped build a foundation that 21st Century artists of color now stand on. Owens never met LaGrone as he died shortly after Owens decided to begin his practice as an artist. Still, Owens considers Oliver LaGrone to be one of his artistic progenitors.